One of things I love the most about Jin Yu (formerly known as Yu Jin, but henceforth I’ll be using her new name) is how adaptable she is. There is a sense of the fantastical in how she can be reared by wolves and learn to be a human relatively quickly once adopted by her Papa. But she was just 6 years ago and a child learns quickly. Her open personality is attractive because she doesn’t let anything bring her down, always facing each challenge looking for the way to solve it. Chapter 3 of Da Mo Yao takes our intrepid heroine onward to Chang An, capital city of the Han Dynasty. Will she run into Xiao Huo? Or Jiu Ye? Or both? And how the heck is she planning to survive there? Read on and you shall see. I paid money in Dun Huang city to travel with a caravan of merchants going to Chang An. With everything I own in hand, I got on a carriage. Though the only thing worth anything is my Luo Lan outfit. Papa told me a lot about Chang An, and I imagined it often, but I was still stunned by its majesty and grandeur. With tree-lined wide-streets and grand homes, the city was beautiful. I held my bag and wandered the streets, so thrilled that every corner and bridge would get me excited. I finally started to understand Papa’s feelings. Seeing such rich surroundings from childhood makes it hard to fall in love with the simplicity of the tents, where everywhere you look there is only sheep or cows. It was dusk before I realized I needed to find a place to rest. Counting my coins, I had enough for at most ten days at the cheapest inn where I was staying. I missed the days of not needing money in Xi Yu. Laying in the bed in the darkness, I was worried for a bit before laughing. Chang An is such a vast city, with so much to do that can sustain a livelihood. Am I any worse than anyone else? I have hands and feet, would I starve? I decided to stop lamenting the Heavens! After walking through the city a total of three times, I started to doubt if I could earn a living. Maid or dancing girl, these require selling myself and I refuse to live a life controlled by others. I don’t know embroidering or sewing, or any of the female skills. The worst is that I don’t have a guarantor. A store almost hired me to do their books but once I couldn’t produce a guarantor they didn’t want to take the chance on me. I tried looking for Xiao Huo and his people, to be my guarantor. But everyone I asked, no one had heard of such spice merchants. I muttered a curse to Xiao Huo, who clearly lied to me. A holiday is approaching and the stores are fragrantly decorated. I’ve used up all my coin and haven’t eaten anything since yesterday, with nowhere to go tonight. I grab my things and head out of the city, to a nearby forest to bed down for the night. If I can start a fire, as least I’ll be warm. If I’m lucky I can snare a rabbit and get some dinner. Being hungry feels terrible. I glared at him. He didn’t pee on the spot like a wolf, so how should I know. It was a mistake only, but I didn’t want to make a scene. As I turned to leave, another beggar gave me a dark look, asking me to sing for him and he’ll offer me a place to sleep next to him. I turn and am ready to pull out my dagger when suddenly another young beggar arrives bearing a jug of good fragrant wine. All the attention of the beggars turn to him and start drinking, forgetting about me. An old beggar walks up “Little girl, in this lifetime, there are no pits you can’t cross, and nothing you can’t endure. They don’t mean anything, so just let it go. If you don’t mind, want to go warm yourself by the fire with an old beggar like me?” He takes out two buns and starts to warm it by the fire, and hands me a pot of wine to drink. I hesitate, explaining that we are strangers, so why he is so nice to me. That young beggar helping me back there, I was already so grateful. His eyes twinkle and he explains that even the Emperor needs a Prime Minister to assist, and people endure situations and need help. I thank him and accept the wine and bun. Later than night, the young beggar tells me that if I go knock on doors asking to wash clothing, perhaps I can find work. I have the strength so I decide to try my luck tomorrow. I rush into the city at dawn, in such a hurry that it was late when I realized I left my bag at the beggar camp. But I figured it was safe with the old beggar and his grandson, and I had promised them I would go back tonight. The most important thing is finding a job. Every door rejects me, until a nice lady explains that the houses all give their wash to familiar people. A burly man waves me away, explaining someone is already washing clothes for this house. I ask if they need other work done, and a seductively made up woman walks out of that residence and overhears me. She looks me up and down and confirms that I am not a local. She compliments me on speaking the Chang An dialect with no accent. I truthfully reveal that I’ve been here almost half a month now, and I’m a fast learner. She asks if I have relatives here and I shake my head. She invites me in to sweep the courtyard in exchange for some steamed buns. I happily accept, thanking the mistress. She tells me to call her Hong Gu, promising that if I did a good job, we might see each other more in the future. After I finish my chores, she compliments me on my quick hands. She brings out hot tea and steamed buns, which I shovel down since I’ve not eaten all morning. Hong Gu smiles and watches me. When I’m half full, I remember the old and young beggar. I ask Hong Gu if I can take the rest of the buns with me. Hong Gu is stunned for a moment, before sharing the anecdote about how people who drown really are close to shore and can even float if they stopped struggling, but they are so scared that their struggles end up dooming them. I look at Hong Gu and we reach a mutual understanding. She asks for my name. I tell her that I am Jin Yu. Hong Gu will prepare my own room, but before leaving, she states that it was my luck to run into her. If I became a beggar, with my looks, I would never escape the dangers on the street. I learn to dance, sing, play the flute, embroider. The dancing is the easiest for me, since the Xiong Mu are passionate and love to dance. I’ve danced around the fire since I was a child thousands of times, and been taught by the Xiong Nu’s most esteemed court dance instructor. It’s the flute playing and embroidering that gives me a headache. Not sure what other girls are thinking, but I’m really getting into this. I often practice when I’m alone, especially under the moonlight. Too bad I can’t even play a single tune completely, sounding more like a ghost wailing. But I’m pretty stoked, always thinking about how Brother Wolf might like this, and how I plan to play for him when there is a full moon. The girls in the house complain often to Hong Gu, but she always takes my side. She even berates those who tattle on me, telling them to work even half as hard as me, they’d be famous all over Chang An. To be honest, I ought to despise Hong Gu, but I can’t seem to. She’s seductive and smart without being petty, and when she talks it’s clear she thinks deeply about things. The days slip by until I can somewhat play the tune Bai To Ying. A new year is arriving, which means gathering with relatives. Even the most flirty man has to go home, so the usually busy dancing house becomes empty. In a house where no one has relatives, the girls decide to celebrate the holidays with as much energy as possible. Even Hong Gu is the same, willing to spend hard earned money to decorate the house inside out with red. Even if it’s garish, at least it’s colorful and cheerful. New Year’s Eve, Hong Gu orders the house securely locked and summons all twenty some of us girls to the hall. She prepared food and wine and wants us all the eat, drink, and be merry. Whether out of sadness or joy, it doesn’t matter, as everyone celebrates with gusto, drinking shot after shot proffered. I never had any tolerance, so after a few cups of gao liang wine, I was already dizzy and crawled over to the side to plop down. When I regained some sense, I felt like I couldn’t breath. Turned out Fang Ru was so drunk she mistook my chest for a pillow and was sleeping on it. Looking around, everyone was collapsed all over the place, draped and propped on others. The room was warm and felt peaceful. I gently moved Fang Ru’s head aside and gave her a pillow. I closed my eyes and went back to sleep. As I was fixing my skirt, I looked out the window and saw Hong Gu bowing before two men, one older and one younger. They were asking her rapid fire questions, and I can hear bits and pieces “…..girl……looks……three months ago……Boss……” I can’t see Hong Gu’s face but I can sense her shock. The two men walk in my direction and Hong Gu runs after then, yelling at us to all get up. The girls all start to get up, and I nudge the really drunk ones awake. The men enter and start surveying us. Wu Ye’s tight expression relaxes a bit, then tightens again as he nods at Shuang Shuang. I was hiding behind a beam, so when he finally spotts me, his face changes and he quickly asks Hong Gu who I was and how long I had been here. Hong Gu turns white and doesn’t answer, so Wu Ye demands the truth now. Hong Gu lowers her head and explains that I am from out of town and came to this house three months ago. Wu Ye asked me if this is true and I confirm it is. Wu Ye mutters that this ought to be correct – looks, timing, background, it all fits. He explains to Hong Gu that the Big Boss has been looking for me for the past two weeks. Because Wu Ye doesn’t work directly for the Big Boss, he doesn’t know why he’s looking for me. He tells Hong Gu that whatever trouble she created, she’ll have to deal with the consequences herself. Hong Gu tells all the girls to leave except for me, and then she gets on her knees. I hurry to help her up “Hong Gu, please don’t be afraid. I don’t know that Wu Ye person, or the Big Boss he speaks of. But you just relax. There is no animosity between us. All I know is that you’ve fed, clothed, and housed me for the past few months, and taught me lots of fun new things.” I thought to myself, being new to Chang An, it’s better to have one less enemy. Plus Hong Gu didn’t actually cause me any hard. It’s better to let it go in this case. Hong Gu’s eyes fill with tears and her voice becomes hard “Xiao Yu, thank you for having such a big heart. I won’t say any useless crap now. I owe you one, and I will always remember it.” She takes out a pill and gave it to me. I swallow it and she explains that my strength will slowly return. But because I’ve been drugged for so long, it’ll take a few days. I smile, willing to wait. She gratefully nods and takes out a cloth to wipe my face and fix my hair and skirt. She takes my hand and leads me outside. Wu Ye sees our joined hands and looks less stern, taking me away. I thought – a mysterious merchant in Chang An who knows what I look like? My mind flashed to riding the horse with Xiao Huo. Could it be him? The carriage stopped outside a residence and we got out. An old man opened the door and welcomed us in, with Wu Ye and Hong Gu bowing respectfully to him. He checks me out and Wu Ye confirms that he believes I’m the one, and this entire time I’ve been right under their nose. The man doesn’t know if I’m the one, but the two earlier were sent away moments after entering. We sit in a small waiting room, and Wu Ye is even politely bowing to the little boy who brings us tea. The old man returns beaming, confirming that this time it’s the right girl. He sends the other two away to await either reward or punishment from the Big Boss and gestures for me to follow him. Hong Gu indicates that I should go, plus I’m curious if this Big Boss is Xiao Huo or not, so I quickly follow. After walking for awhile, suddenly the hallway fills with light and beyond the distance is a lake and a copse of trees, giving off a sense of energy and life. This house looks ordinary from the front, but surprisingly has such grandeur inside. Past the lake the scenery is so lively, even in this dead of Winter the trees still feel vibrant, causing my mood to lift. The old man turns and notices me “If you like, come back and play next time. I also love this bamboo forest, cool in the Summer and lively in the Winter. This here is the Bamboo Residence, beyond the lake there is the Plum Blossom Garden, the Orchid Pavilion, and the Crysanthemum Suite.” I nodded and ran to catch up to him. At the end of the Bamboo Forest is a small courtyard and the old man indicates for me to enter alone. Inside are more bamboos with some pigeons resting on it. A blue-robed man is sitting there facing the sun, with a pigeon on his knee, a warming pot next to him. Seeing the steam from the pot surrounding him, it feels slightly like a dream. Whether in the desert or here in Chang An, wherever he is at, even the most ordinary of surroundings becomes something unforgettable. One simple yet familiar question causes my heart to warm immediately, and all my bellyful of questions fall by the wayside. Those questions aren’t important, what’s important is that I’ve reunited with him here. I nod, realizing this was how my situation in Chang An was discovered. I asked about his grandpa and was told age and weather laid him low, but with rest and medicine he will recover. When Jiu Ye asked if Hong Gu harmed me, I quickly said no. He laughed at my nervousness, and I explained that who knows what the punishment is like in Chang An. If people get arms cut off as punishment, it will be a waste of pretty Hong Gu. Jiu Ye thought “This isn’t just between you and Hong Gu. If it’s not handled, who knows if other girls will suffer in the future.” I counter “Hong Gu has already promised me never to do it again. Is there a mutually beneficial solution?” Jiu Ye decides to let Wu Ye handle it since it’s under his purview, rather than waste time thinking about it now. The Winter sun sets early and it’s starting to get cold. I look at his legs and say “I’m feeling cold.” He lets the pigeon fly off before turning his wheelchair around, gesturing for me to go first. I want to assist but remember what happened in the desert so I quickly withdraw my hand. As we approach the door, it opens by itself, startling me. Jiu Ye explains there is a mechanism triggered by his wheelchair reaching the door which allows it to open. Inside the residence, it’s exquisitely appointed, with everything at the perfect height for someone in a wheelchair to access. He invites me to sit at the table with a snack on it, which reminds me that I haven’t eaten all day, and my grumbling stomach gives my hunger away. He’s making tea and turns to look at me, and I say in embarrassment “You never heard someone’s stomach growl before? I’m hungry, can I eat the snack?” He instead orders dinner prepared, asking what I want. I don’t know how to order, but I want meat. Lots and lots of meat, and not diced into tiny little cubes or slivers like at Hong Gu’s. He pulls a knob and Xiao Feng comes running in, getting the order for dinner. He put the tea pot on his thighs and wheels it over, not spilling anything. He pours me a cup and I take a sip while nibbling on a snack. He seemed happy, explaining he rarely has visitors, and this is the first time he’s made tea for someone. Xiao Feng brings in a platter of food and seeing how excited I am, he tells me to dig in first since he’s not hungry. I devour just the meat and ignore the vegetables, so he comes over and pushes it back towards me. “Eat some vegetables.” I ignore the veggies still. He said again “Girls need to eat more vegetables to be pretty.” I looked alarmed, was he joking or telling the truth? He looked serious, so wavering between delicious food and beauty, I finally picked up the vegetables. He smiled and looked out the window. Eating is always a happy thing, and I hold my full stomach and feel like life is but as happy as now. I decide to be ballsy and tell Jiu Ye to take responsibility for me since he’s caused so much commotion Hong Gu will surely not take me back anymore. He just smiles at me but doesn’t respond. I explain I can write, count, is strong and not stupid. Surely he can use me at one of the businesses to help in a shop. He asks if I want to stay in Chang An? For now I do, not sure when I’ll leave one day. He lets me stay here while deciding what suits me to do. He tells me to think about what I like to do. I won’t stay here without earning it, promising to do whatever Xiao Feng does to earn my keep. He shakes his head, calling me his guest….a reunited old friend. In a few days I’ve learned my way around the Shi Residence, seeing the black-robed and purple-robed man from the Yue Ya Spring. One is called Shi Jing Yen (Careful Words) and one is called Shi Sheng Xing (Cautious Actions). I smile at how apropos one name is, and how not suitable the other name is. Hearing I’m staying in the Bamboo Residence, Jing Yen is shocked since Jiu Ye loves his solitude and even Xiao Feng and those folks don’t spend the night there. Those two, plus the Shi Enterprises Manager Shi Tian Cao, together oversee all the Shi businesses. They come every morning to report to Jiu Ye, and the little porter boys all eavesdrop. It’s cute their names are Feng (Wind), Yu (Rain), Lei (Thunder), and Dian (Lightning), which is easy to remember. I always leave to avoid hearing anything. Today I decide to visit Hong Gu because I miss her. Shi Buo (the old man butler) worries I’m wearing too little on a snowy day, and I tell him I’m afraid of only being hungry, this cold doesn’t faze me. The snow has stopped but the wind and the carriage wheels whips the fallen snow all around, with most people walking huddling to stay warm. I order the carriage to slow and not throw more snow on people. I return to the Luo Yu House and find the red lanterns are gone, hearing people exclaim that the House hasn’t opened for business in days. Hong Gu welcomes me, explaining that her mistake is leaving Wu Ye deciding what to do. She’s so worried and has decided not to open for business in the meantime. I explain that Wu Ye wants to help her, which is why he’s racking his brains for a good solution. Hong Gu thanks me for protecting her. A maid comes and informs us that Shuang Shuang, the number one singer, has decided to jump ship and go work for Tian Xian House since this place isn’t doing business. Hong Gu explains that Tian Xian House used to also be owned by Shi Enterprises, but not anymore. And recently it keeps growing bigger and more well known. Perhaps soon Chang An’s dancing houses will all be consolidated into one. She doesn’t want to talk about these business worries now. Since the business is shuttered, she takes all the girls out to go flower watching. Everyone bundles up in layers except for me, leaving Hong Gu admiring not my fortitude, but how it allows me to still look feminine when they are all wrapped into bundles. As the carriage nears the city gates, suddenly everyone parts and our carriage also pulls over. I stick my head out, curious. Hong Gu says this is nothing compared to when the Emperor passes through. I look and from far away, a few young men in horses are riding down the lane. All are strapping, dressed in fine clothes, dashing on the horse – clearly young men with bright futures and riches, having been given the largesse of the world. My heart is suddenly in shock. That…..that stone-faced, handsome man….isn’t that Xiao Huo? Even though his attire and demeanor is vastly different from back in the desert, I’m sure that I didn’t make a mistake. The other young men are all happily chatting on their horses, while his lips are tightly closed and his eyes stare into the distance. It’s clear that while he’s physically here, his heart isn’t here. I stare at him on the horse and I can’t describe the feeling in my heart. In Chang An, when I was at my most down, I wanted to find him. But I didn’t find him. When I entered the Shi Estate and was walking through the long corridors, I thought the person on the other side would be him, but it wasn’t. Just when I was least expecting it, he appeared. I already suspected he was not someone common, but I never could have imagined that he would be the nephew to both the current Han Emperor and the Great General’. I cuddle next to her, assuring her that I was just thinking through some things, though I understand her point. I give her a proverb that causes her to stop and think, wishing she understood this concept when she was young and didn’t have to end up here. Even though Hong Gu is pretty, she is past her prime. The scenery outside is pretty but we are both not fully appreciating it. The trip ends and I return to the Shi Estate. I walk into the Bamboo Residence to find Jiu Ye reading alone under the flickering oil light. Seeing this, my eyes suddenly feel teary, remembering how Papa would wait for me late into the night, for me to return after a crazy day of playing outside. He would read a book and sit there to wait for me. One lamp, one person, and that was what warmth was. I stood at the door in silence, letting the warmth of the room flow into my heart. My heart, which had been uncomfortable all afternoon, gradually became at ease. He sensed me and smiled to welcome me back. I told him I went to visit Hong Gu and then we took a short day trip out. He gently asks if I’ve eaten and I confirm Hong Gu brought snacks and I ate along the way. I ask him directly why he lets the dancing houses owned by the Shi Enterprises compete with each other rather than letting them collaborate. People will think he has no ability to manage. Jiu Ye responds that he doesn’t have the ability to manage. I think for a moment and ask him “Didn’t you tell me to do what I wanted? I want to keep learning at the dancing house. Whether as a maid or keep the accounts.” He smiles and agrees. I bow and thank him. The package contains the Luo Lan outfit. As my hand grazes over it, I don’t know what to say. This is not something a simple thank you can convey. OMGeezz!!! yay!! have to comment first! having been daydreaming about what’s going to happen next! you are on a roll! i just finished chapter 3 too! thank you!! Captain Koala, how is it that you are so fast with translating?! Especially with your new job, family, and everything else … I am in complete awe, and really, really, really thankful at the same time. Books will always be my favorite medium of entertainment, so I am really happy that we have such an enthusiastic book club going on here! Question: Will we get to see Yu Dan one more time, or at least get a confirmation of what ultimately happened to him, after he parted from Jin Yu? He made a promise … So I cling to hope yet that he’ll keep some part of it. A question to those who have read the book: I have read some complaints that Jin Yu seemed to become accustomed to and even adept at political intrigue too quickly, for someone who spent the better part of her formative years living as a wolf. True, her father did make her memorize books on politics and strategy, but does learning from books (and unwillingly at that) really a person make/change? Would love to hear the opinions of other people! Thanks once again to Captain Koala for her magnanimous gift to us! I delight in refreshing the Playground page and being greeted with awesome surprises each and every time! i think she also learnt political intrigue through Yi Zhi Xie, and with what happened to her father and Yu Dan. while i do found her being knowledgeable about political intrigue a bit fast, it’s not totally unbelievable. after all, she witnessed how YZX gained power. and since you asked, we won’t really see much of YD anymore unfortunately, but we will get a confirmation of his fate later in the novel. If it’s not too much to ask, would you mind spoiling me as to Yu Dan’s fate? Naturally, you don’t have to, if you’re worried that it might spoil other people’s fun/enjoyment. I just love spoilers myself but understand that other people would prefer to avoid them at all costs. Thanks Miss Koala for spoiling us with your translation. Reading books doesn’t make her change. Those are mere tools for hers to survive. my heart sank the second time when she discovered who was waiting for her in the garden, and when she was saw HQB on the way…. she wants to see him first, he’s the one she’s pinning for. 🙁 alas it’s not meant to be. Taking into consideration of how each character was described and reading three chapters, I sense that Jiu Ye is more husband material where her heart could settle where as with HQB she could be more adventurous, and feel more amorous. Personally, being with HQB, is a recipe for trouble. Guess it’s making stories more interesting. yes, i do feel that way. especially at the end of chapter 3 when she was looking at Jiu Ye from the door. i suppose girls tend to marry someone like their dad? gosh…she’s got some wit and intelligence on her shoulders. am also surprised that she can adapt so well and am sure it all from the training her papa taught or made her read it. she is growing more interesting now and that she is older and the meeting the possible OTPs again… I am also getting a feel that she have a more romantic vibe towards the general and a long father figure/family vibe towards MXM. My impression of this chapter ‘this girl is smart’ ! I guess being growing up as a wolf, gave her an intuition how to treat other beings, either animal or people. my latest obsession (after moon sun) hands down! super thanks miss K! I don’t know…it’s pretty obvious to me that HQB is the one that makes her heart beat faster…too bad she didn’t let him see her in the carriage, so they can reunite sooner! Koala, are you planning to give us daily crack? You are working so hard! Thank you very much!! I am addicted to this novel. I wish I knew Chinese. I am very impressed how Tong Hua’s language is so different in Da Mo Yao. Bu Bu Jing Xin was more… subtle. Wow. Two installments in one day…You rock! I can’t wait to read more! It is a wonderful story and Jin Yu is a fascinating character. Enjoyed reading this chapter! Thanks!! Miss Koala, you’re a saviour to us non-Chinese speakers/writers. Since you first wrote about DMY and having learned that there’s no English version of the book, I thought I would have to wait a year or more to see the drama, also having to wait for subs for quite some time too. Now, thanks to your kindness and sheer translation ability, I’m now enjoying myself tremendously reading each chapter by chapter. I only found out today that you’ve been posting your translated chapters. I hope and pray that you would have the stamina and time to translate right till the end of Vol. 2. Again, thanks a million for being so generous with your time. this is amazing! Thank you so much! I ship HuoYu, all the WAY!!! can’t wait for you to get to them, it’s such chemistry from the start, I loved HuoYu from the start, not really a fan of Jiu Ye, he’s too wishy washy for me. Thank u, Koala for translating chapter 3. I feel like I’m actually reading the book and enjoy participating in this “club” with other fans of the *playground*. I was wondering how HQB was gonna return to JY’s notice. Again, it is he who stirs the greater reaction in her. Meeting Jiu Ye again was pleasant and comfortable, (and recalled memories of Papa reading by the lamp) but HQB’s presence piqued her interest and had her heart all mixed up. I’m glad the dancing house wasn’t expressly used as a brothel. That would have been too makjang – a girl raised by wolves, continually drugged and forced into a life of prostitution. AND…I appreciate the way she was reunited with Jie Yu by means of her Luo Lan dress. It was coincidental yet not too far fetched. Thank you for the chapter, Koala. The story’s getting better and better. Okay this funny, but I NEED more HQB!! I can’t wait to see a full on interaction between the Jin Yu and HQB, it is going to be so amazing!! So far I am really liking Jin Yu as our heroine, but one she gets straight to the point & she is not mopey. She is definitely not meek, but she still has enough. I may be weird by I am still obsessing a little over Yi Zhi, he excites much me more than Meng Xi Mo. I feel like he would have made a much more compelling part of the lurve triangle. Of course we are only in Chap 3 and we hardly know anything about him yet. In any case HQB is driving me a little crazy with anticipation haha!! I absolutely cannot wait to hear more about him. He has the most amazing character description ever (especially in the personality department). Finally, Koala if I was a man.. I would marry you!! I still don’t know how you are churning out quality translations in such a short of amount of time.. WITH family & work, you truly are amazing!! Thank you, Thank you, Thank you!! I can’t wait till get to meatier part, this will be a hoot to discuss!! Sorry, corrections here… Clearly I was not thinking coherently haha.. Far too excited! I can’t wait till *WE* get to meatier *parts*, this will be a hoot to discuss!! I agree, I’m totally anticipating more Xiao Huo and Jin Yu together. While I was reading this, I got so excited when she saw him on the horse and just let the chance slip away and not have him see her although I guess him being in the procession would be a little hard for him to see him. I also think Yi Zhi Xie would’ve made a more compelling love interest but i guess we haven’t gotten to the meatier part of the story as you mentioned. I feel like our heroine is very unique and she is wise for her age, having been living the life that she has. I like her, I feel that she has the backbone to stand up for what she wants and she knows when she can’t argue any further. Honestly I commend her for being able to fend for herself in such a big city and surviving. I probably would be pretty paranoid and scared, I mean she left everything behind (not that it was much) but nonetheless it was comfort to venture to a new city. My insides we going: NO Jin Yu!!! Don’t drop the blinds, HQB must see you!!! Can’t wait for chap 4! I already have the feeling it’s going to get AMAZING when Jin Yu and HQB reunite! Yes it is. Their every single interaction is GOLD. No. It’s PLATINUM. If there was ever a couple absolutely meant to be together, it’s them. I rest my case right now. oh man, thank you koala! this IS like crack! hahaha thank you!! also, I’m a Chinese singaporean and yet I totally prefer reading your recaps to reading the book itself >< so just to let you know that you are also helping some Chinese speakers/writers! Thank you thank you thank you!!! Your translating is very appreciated!!! This is the one thing I look forward after a long day at work 😀 You are awesome!! I’m amazed she didn’t find out that Xiao Huo’s uncle is that guy from chapter 1. Wow!! I totally love e story!!! Thx much Koala!!! Like how she now friends w Hong gu. I liked her relationship w both OTP so far. But guess he longs for Xiao Huo more. Miss Koala after reading your translation I can’t wait to watch the drama and it is not even been filmed yet! Thank you n good work. I finally finished the novel today. I stayed up until 3 am last night to read it and skipped lunch today to finish the last couple chapters. I have to say that this novel is less depressing than BBJX. The characters are more straight forward in their thoughts and actions. And I must commend you for your hard work of translating the novel to English!!! I was told that HQB is the main character and I must learn to like him more than 9 Ye. But by the end of Book 1, I already felt so much for 9 Ye that it’s hard to root for Yu Er and HQB. End of Spoiler Alert !!! Gosh, it is the end of the 2nd book that you truly feel REALLY REALLY bad for Jiu Ye. The end of the 1st book makes you feel hope for the both of them. It was such a superb cliffhanger! koala, thank you so much for this! I’ve been in the mood for period pieces lately and devoured your chapter 1-3 summaries just now. Totally loving it so far! I can already picture it in drama form, ahhhh..it will be epic. And yes, her initial meeting with HQB feels more real and compelling to me. Plus, he’s the one that she was actually hoping to see in Chang An. I can’t wait to read what their reunion is like. So far, her relationship with Jiu Ye seems uneven, he’s more like a benefactor and a father figure to her. By the way, what’s the reason why Jiu Ye is in a wheelchair? Was he born paraplegic or did he get into an accident? Will we learn this in the later chapters? Can’t thank u enough Mrs K!!! Thank you, thank you x100 for the translations! and so fast too O_O gosh, it is like daily crack to me now! I have fallen in love with this story/book since you wrote that introduction post. I hope they will film this drama ASAP! Really really want to watch this. Thank you again. I really don’t have much more to say Ms. K. You started these posts on my birthday and every new one feels like a very special gift. I almost couldn’t believe my eyes when I read “chapter 3”. I thought it was too much to hope for.. an update this fast? Looks like I underestimated your awesome-ness! Thanks so much, Ms Koala!! I wish I (or all we readers) could give something back for everything you do for us! Much appreciated! I agree with everyone else. We need HQB to make a longer appearence! 😀 Looks like there will be sparkles in their encounter. And I have the suspicion that his uncle is that guy from the past (forgot his name) who liked her when she was little and then tried to kill her and her Papa. Thank you so much for your hard work Ms Koala! I’m loving this story so much. If not for you, us non-Chinese readers would never have the chance to appreciate such a beautiful piece of work! Thank you! Thank you! I’m always looking something new at your playground and now it’s time for Da Mo Yao. Though i’m unfamiliar with chinese novel, because of you(and your ability to choose such beautiful and rich story)…i’m gonna try to enjoy it. Thank you so much ms.koala for your translation and i’ll wait for next chapter. Your translations are amazing, thank you so much for sharing this for those of us that can’t read chinese. I am completely in love with the characters and the story. Can’t wait for the next chapter!!! You are getting me hooooked! Just a few weeks ago, you were writing about your new job and how you may not be posting as much, and here you are translating a novel and choose such beautiful words and expressions to convey the story. 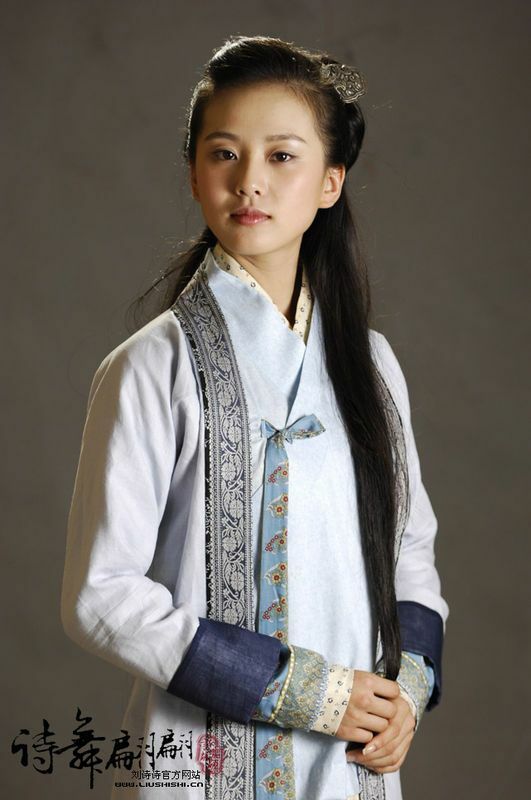 I have a huge girl-crush on Jin Yu now. thank you so much for translating so quickly.. I am really looking forward to the drama series now! thank you ms. koala.. looking forward to more of your translations…you’re a star! Oh my gosh, I really do love how adaptable and competent she is! Wow, thank you for your herculean effort in translating these six chapters. The cold and dreary winter months are more bearable thanks to your work. I just “marathoned” the Bu Bu Jing Xin drama (per your recommendation), unreal and so saaad! It just makes you wonder more about the author and her life. Please get some much needed rest and take care. Okay, I finally read the chapter and am beyond thrilled to have completed chapter 3. Gosh, Jiu Ye is so hard to resist as well, but he leaves me with a warm, fuzzy feeling whereas Xiao Huo leaves flames in his wake. Our girl is going to have a hard time juggling such paragons of perfection. Can’t wait to read more. Have I told you yet that I loveee you mucho! Gosh, how do you do it? To not only translate beautifully, but to also do it with such fascinating speed? You are lubbed! Rereading DMY via your translations made it clear that the first person YR had in mind looking for help (hoping to see implicitly) and coming to Chang An was actually HQB and not JY. HQB did leave a strong and lasting impression on YR. It seemed that they connected on a mental level even in that short encounter and she had already intuitively, instinctively trusted HQB to be a dependable friend. Likewise for HQB, who anticipated that YR will come to Chang An but had no means to find her, since she was staying hidden in JY’s residence. The one we wish to meet, we did not get to meet yet, just when we have given up they unexpectedly show up.